Recent events raise questions about Abe’s commitment to upholding past apologies. On 14 August, the day before the 70th anniversary of the end of the Pacific War, Japanese Prime Minister Shinzo Abe issued a long-awaited statement on Japanese memory of the war and his vision for the future. In it, he emphasized that the apologies given by previous Japanese cabinets ‘will remain unshakable into the future’. Abe’s statement received mixed responses from around the world. While some expressed concern at its account of 20th century history, the United States welcomed Abe’s ‘expression of deep remorse for the suffering caused by Japan during the World War II era, as well as his commitment to uphold past Japanese government statements on history’. But recent events raise serious questions about the commitment of the Abe government to upholding past apologies. For the past several weeks, prominent members of the Liberal Democratic Party (LDP) have sent unsolicited gifts of two books to academics, journalists and politicians in the English-speaking world (mostly in the United States). The books are accompanied by letters that draw attention to Abe’s 70th anniversary statement. They claim that history is being distorted by certain unnamed individuals and urge the recipients to read the books as a corrective. The first book is Getting Over It! Why Korea Needs to Stop Bashing Japan, by Oh Sonfa, a naturalized Japanese citizen of Korean origin who is best known in Japan for publications disparaging her former homeland. Oh’s book urges Japan to turn its back on China and particularly on South Korea, which, she argues, suffers from incurable ‘narrow egotism and prejudice’ reflecting the nation’s ‘history and its racial characteristics’. Echoing Japanese wartime propaganda, Oh paints Japanese colonial expansion, in opposition to Western colonialism, as essentially good. While she describes Western imperial powers as brutal and exploitative, she claims Japanese colonial control of the Korean peninsula ‘implemented no policies aimed at exploiting Korea’, ‘did not use armed suppression to govern’ and even ‘abolished restrictions on freedom of speech’. All of this will come as news to most historians of Asia. The second book, History Wars, Japan — False Indictment of the Century, is written and published by the right-wing Sankei newspaper. It pours vitriolic scorn on the historic 1993 Kono Statement, which apologized to former ‘comfort women’, who were sexually exploited in Japanese military brothels during the war. The Kono Statement, along with the Murayama Statement, is the most crucial of the Japanese government official statement on wartime history that Abe declared Japan’s ‘commitment to uphold’ in his statement. History Wars claims that there is no evidence to support Japan’s 1993 admission that some ‘comfort women’ had been recruited against their own will, at times with the direct involvement of Japanese military or officials. A number of the book’s arguments echo those presented in June 2014 by a team created by the Abe government to investigate the processes that led to the Kono Statement, though the Sankei book expresses these arguments in more extreme terms. History Wars depicts the surviving Korean ‘comfort women’ as confused old women tempted into giving false evidence by promises of money. And it claims that the Japanese government made the apology knowing it to be factually baseless, simply out of an ardent desire to appease South Korea. These bizarre claims are based on a selective misreading of the available historical evidence and have been strongly denied by former Chief Cabinet Secretary Yohei Kono, who issued the 1993 apology. If these books had been distributed by a fringe right-wing organization, they might have caused minor embarrassment. But they are being distributed by leading politicians from the ruling LDP, including a key member of the party’s International Information Investigation Committee (LDP/IIIC). One of the politicians actively distributing the books in the United States has since been appointed the special adviser to the prime minister on cultural diplomacy. 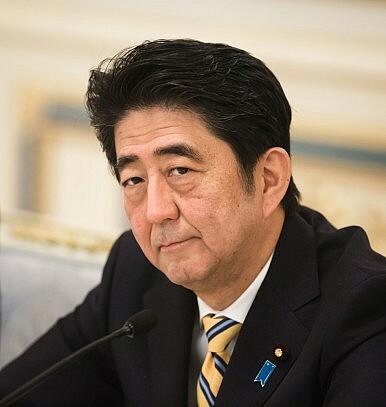 On 19 June 2015, the LDP/IIIC presented Prime Minister Abe with an interim report on proposed measures to counter the ‘anti-Japanese propaganda of China and South Korea etc’. Abe’s reported response was to exhort the committee to ‘further strengthen its efforts’. On 19 September, the Committee passed a resolution that blamed the distortion of ‘international society’s perception of our country’s history’ on ‘lies’ disseminated by the liberal Asahi newspaper. It went on to call for a national information policy that would ‘change from the merely “neutral” or “defensive” stance to a more positive dissemination of information’. The dissemination of History Wars and Getting Over It appears to be a step in this ‘positive dissemination’ campaign. This is deeply concerning as it suggests that the campaign has been endorsed by Abe and is being carried out by key figures in the ruling LDP party. These actions are inconsistent with Abe’s promise to the global community in his statement on 14 August. Historical revisionism that denounces the Kono Statement and whitewashes the record of Japanese colonialism is incompatible with Abe’s expressions of ‘deep remorse’ and promises to ‘engrave in our hearts the past’. There is no evidence to suggest that the extremist views expressed in these two books are shared by most ordinary Japanese people. The actions by members of the LDP are undermining decades of hard work by many Japanese civil society groups to heal the wounds of past violence. Such factually inaccurate accounts of Japan’s war history can only damage the standing of Japan in the international community. The time has come for a more reasoned approach from all participants in these tragic and destructive ‘history wars’. Professor Tessa Morris-Suzuki is an ARC Laureate Fellow based at the School of Culture, History and Language, at the College of Asia and the Pacific at The Australian National University. This piece originally appeared in East Asia Forum here and is republished with kind permission. "Being contrite contains real diplomatic, defense, and economic benefits." Abe Stokes History Wars by Avoiding ApologyShinzo Abe’s High-Wire U.S. VisitThe US Is Pushing Back Against China. What Happens If We Succeed?On Looming US-China Trade Deal, Actions Speak Louder Than WordsTrue GRIT with North Korea?